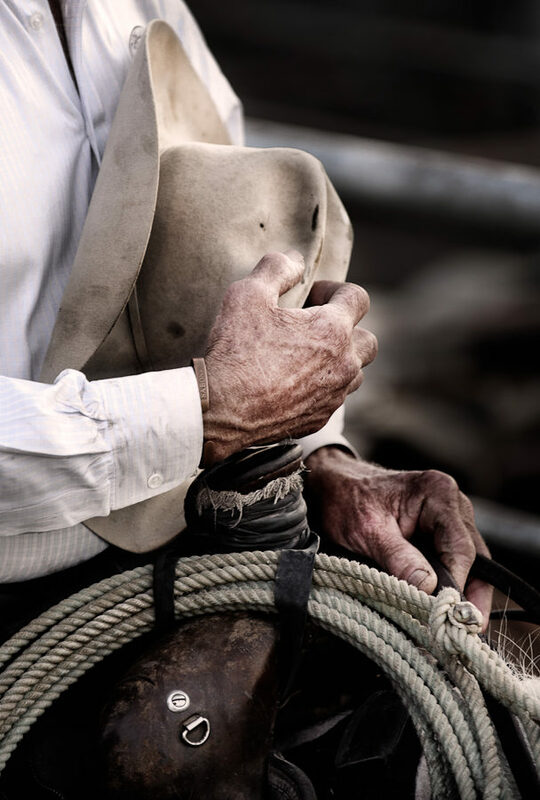 Perhaps it’s because I was brought up on a steady diet of TV Westerns while 6000 miles away from anything resembling the Wild West but I find myself fascinated by all things cowboy-related. At the top of this list is, of course, rodeo. Taking photographs of rodeo is about as much fun as an Americana-obsessed photographer could ask for and, while I love the action shots of guys getting thrown around, I think this is my favorite rodeo picture of all. 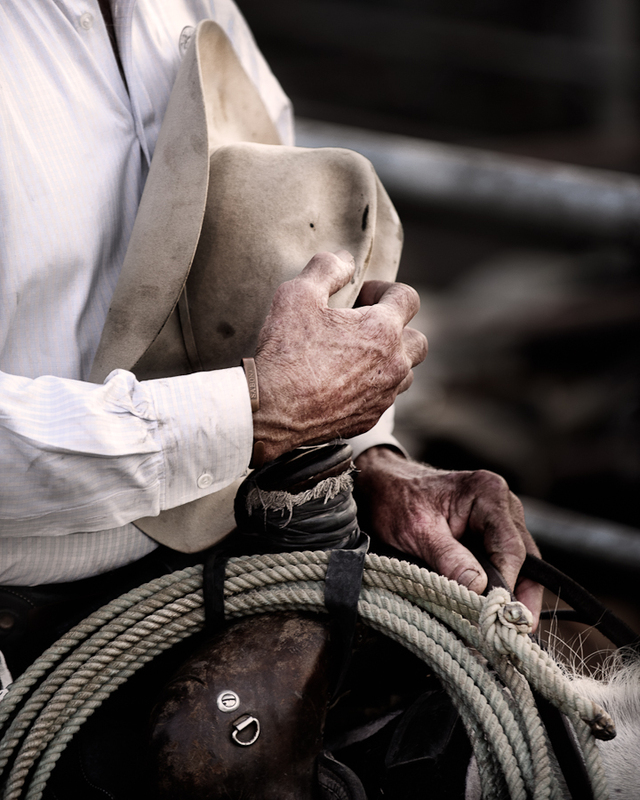 The sight of this rodeo official’s hands as he holds his hat over his heart for the National Anthem speak volumes to me about experience and dedication.